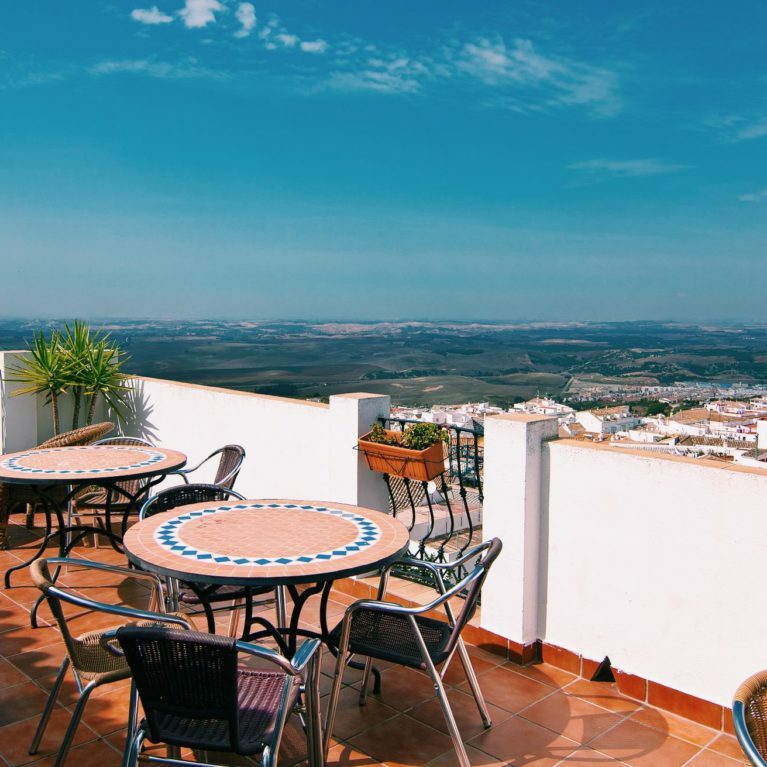 Stood majestically 400metres above sea level, looking down on the patchwork of white washed houses, surrounding countryside and further on to the Bay of Cadiz, its no wonder that Medina Sidonia has been so historically important and considered one of the most beautiful villages in Spain. 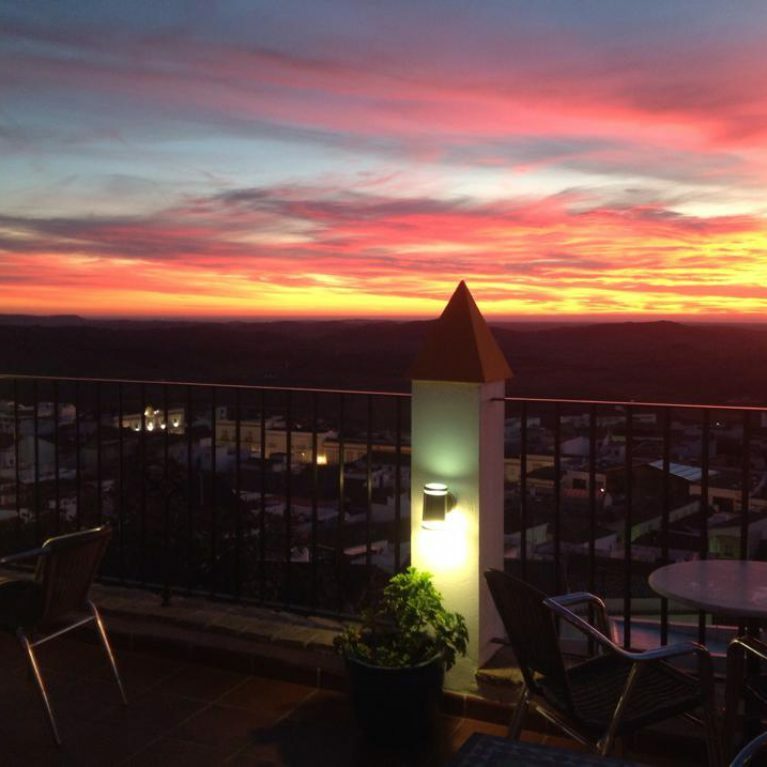 La Vista de Medina, perches at the top of the old town, it´s upper restaurant terraces allow an unrivalled view of the town all the way down to the coast just over 30km away. On the ground level two flower filled gardens, with their water features and swimming pools to provide an intimate oasis for the hotel guests. 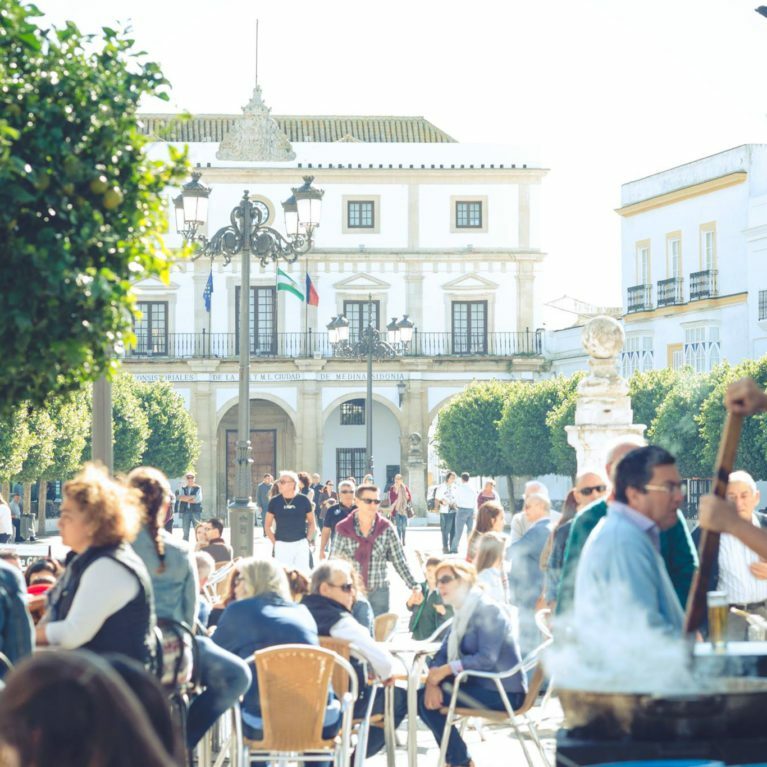 Our small boutique hotel is the perfect combination between peace and tranquility in the privacy of the gardens but with the added advantage of being able to stroll 5 minutes down the cobbled streets to enjoy the atmosphere of the local main square, with its tapas bars and shops. 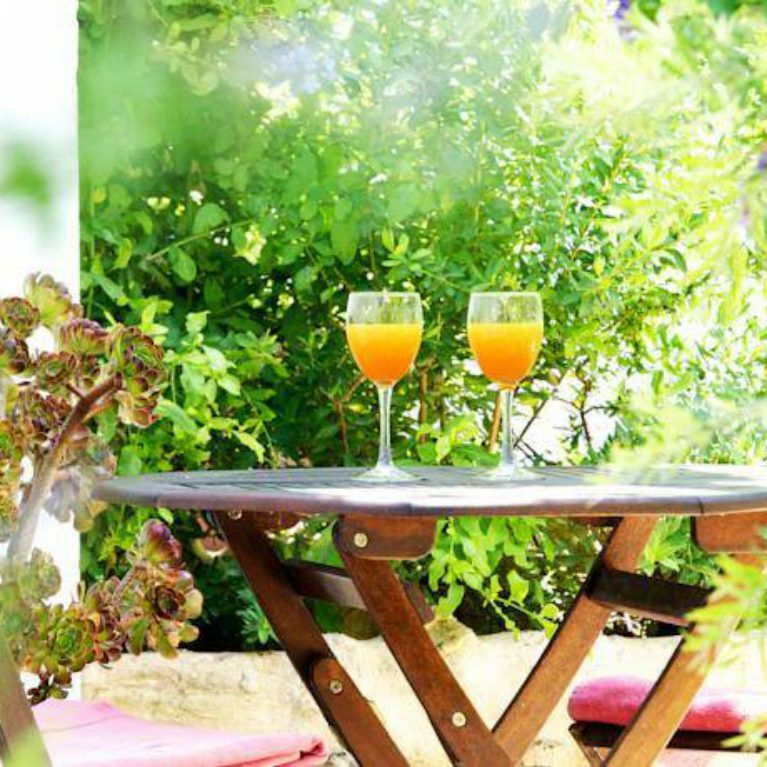 La Vista de Medina takes its name from the exceptional views enjoyed from many of its terraces and the flower filled gardens brimming with fragrant trees. The refreshing pool is a natural focal point on hot summer days. We have 4 guest apartments and 2 guest studios, all individually and thoughtfully decorated with every comfort to make your stay as relaxing as possible. 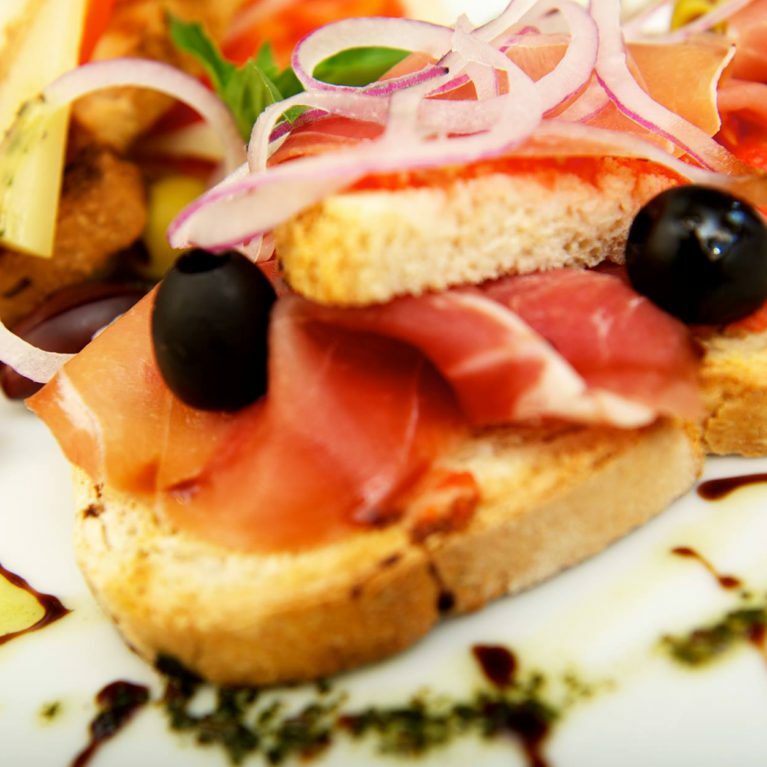 We are proud to offer an appealing menu that caters for all tastes. Whenever possible, our chefs use local produce depending on the seasons. 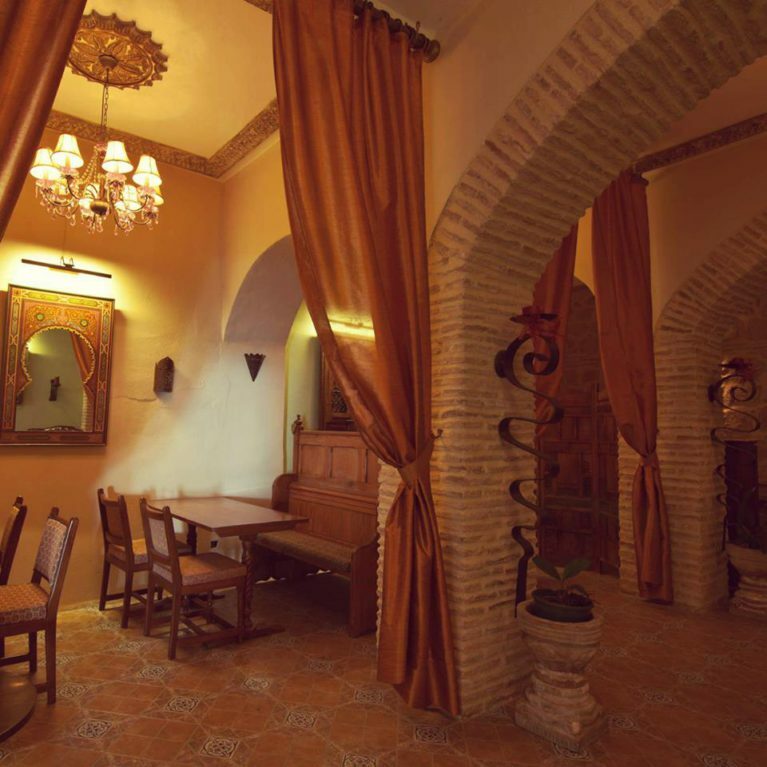 Enjoy your breakfast or lunch on the comfortable terrace while taking in the panoramic views of old Medina standing proud with the Bay of Cadiz in the distance. 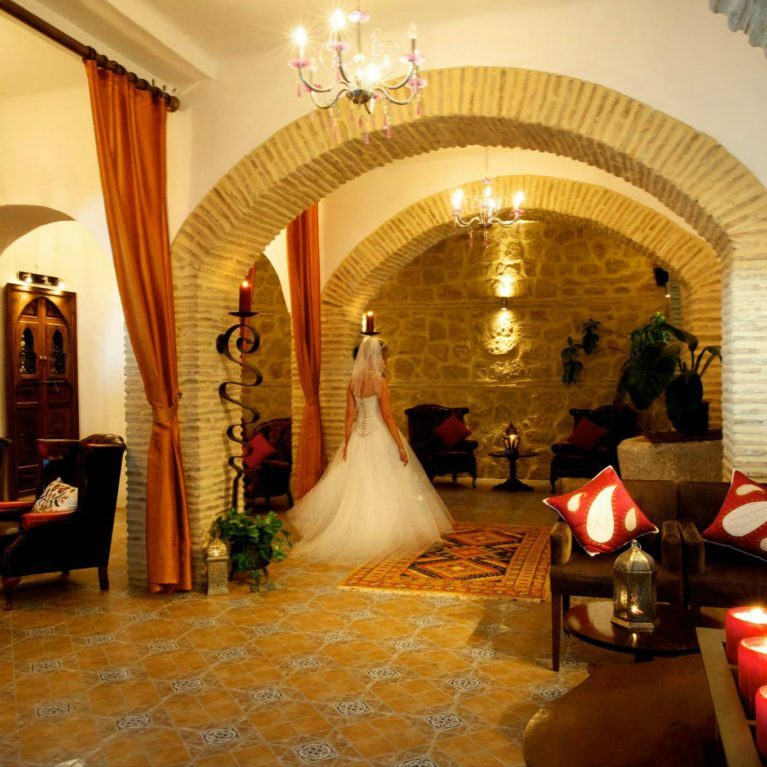 Whether your celebrations are intimate or on a grander scale, up to 90 guests, La Vista de Medina can perfectly accommodate all your requirements with ease. Charming townhouse with refreshing pool and roof terrace, sleeps 2 - 12 guests. The hotel has two swimming pools situated alongside displays of dazzling flowers, plants and a vibrant blaze of purple bougainvillea. The gallery section provides photos of some of the places of interest and details of the hotel. Here you will find the latest information about live music events, updates to the menu, photos, wedding celebrations and general holiday information. Enjoy one a delicious breakfast on our terrace. See more. Here are some photos of the food dishes we offer at our restaurant. 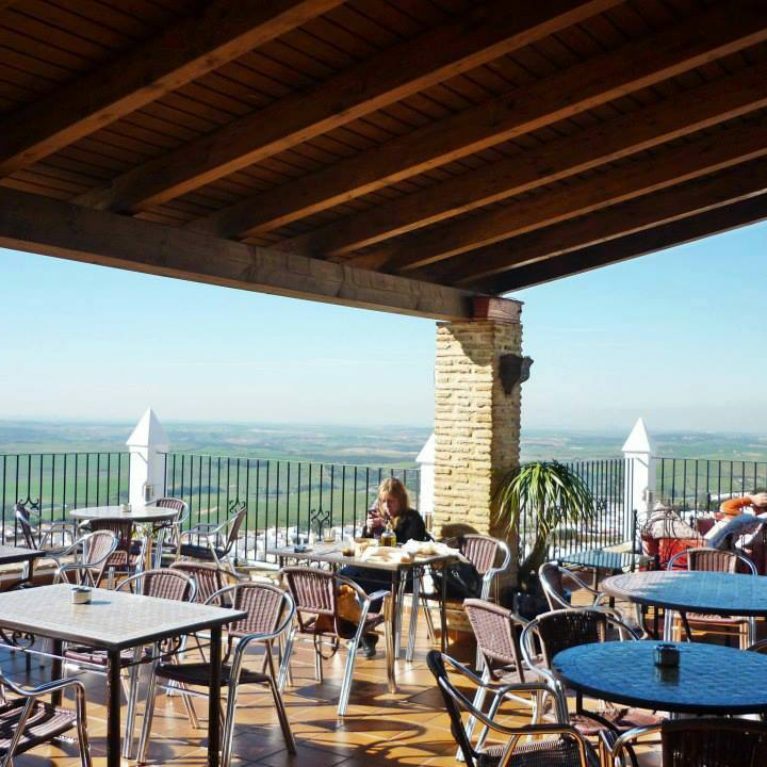 We hope you enjoy our video introduction to our hotel facilities with a brief preview of Medina Sidonia and surrounding areas.